The Blueprint for Business Action on Health Literacy is a free toolbox accessible to all companies and organisations aiming to make employees more health literate. "The idea of the blueprint is to provide some tools for companies that want to implement health in the workplace and in their programmes with a particular focus on health literacy," said Alexander Rödiger, director of EU affairs at the global health care company MSD, at the launch of the blueprint in the European Parliament on Wednesday (27 March). With employees expected to be more flexible and mobile, psychological strain is on the increase. Though the psychological effects of stress are more subtle, health experts say prolonged stress is associated with depression, anxiety and panic attacks as well as heart disease, gastro-intestinal disorders and migraines. In the context of the EU's Europe 2020 strategy, CSR Europe, the business network for socially responsible companies, launched the Enterprise 2020 initiative in October 2010. The blueprint forms part of this initiative, which highlights the contribution that businesses can make to achieve the EU goals for building a smart, sustainable and inclusive economy. Companies involved in the Enterprise 2020 Collaborative Project on Health Literacy are in the process of developing tools aimed at empowering employees by improving their knowledge in health and well-being. The organisations behind the blueprint include both public-private partners and academia, such as Microsoft, MSD, Edenred, Nestlé and Maastricht University. "It shall help companies with their health in the workplace programmes, benefit employees and it should also benefit society in the long run because work-life-balance is becoming more and more important," Rödiger said. "The work life is moving into the private life. Sometimes the private life also happens during the work hours, so the boundaries are not that clear anymore today," he added. Health literacy is the capacity to make sound health decisions in the context of everyday life; in the home, community, workplace, health system, marketplace and the political arena. It has a focus on the individual and empowers him or her to take greater control over their own health and well-being. The benefits of improving health literacy include better communication, greater adherence to treatment, greater ability to engage in self-care, improved health status, greater efficiency and cost savings to the workplace and health system as a whole. "We can't underestimate at all how important health literacy is, whether it's about empowerment of the employees and citizens in the management of health and wellbeing, but also about how crucial this is for today's economy," said British Green MEP Jean Lambert. Lambert, who is also a member of the European Parliament's committee on employment and social affairs, added that today's work environment is in many ways radically different from that 20 years ago, with greater mobility, flexibility and connectivity. "These are key requirements for employees," the MEP stressed. "In some respects it's very positive. It can give people greater autonomy in terms of their working lives. But it's also a challenge which requires greater self-responsibility from the employee and it's a much more complex management situation." Nathalie Renaudin, public affairs director at Edenred, a health solutions company, outlined challenges impacting on businesses. First of all, the workforce will get older at the same time as the population will shrink. Secondly, chronic diseases are already spreading for the population under the age of 65. A growing number of people in their 40s live with one or two chronic conditions. "These challenges demonstrate that Europe needs to catch up and that there is a gap between the resources available, the workforce, and the productivity in the future," Renaudin said. 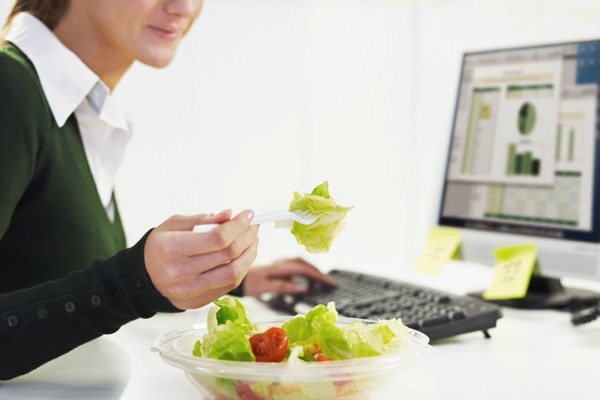 "A major factor affecting productivity is health. Around 350 million working days are lost in the EU each year due to illness, and the economic crisis has increased the levels of stress and depression which are among the major disabilities," the public affairs director added. Renaudin said health at work is not only about preventing ill health. It's also a way of promoting well-being which is the basis for being able to actively contribute to business and society. Matthias Groote, chair of the Committee on the Environment, Public Health and Food Safety in the European Parliament, said: "This Blueprint is innovative. And I hope that it will prove fruitful for corporate leaders and employees throughout Europe, who recognise that health literacy matters for people to live a long and healthy life, and for businesses to be smart, sustainable and inclusive." Tanya Kennedy, workplace director at Business in the Community UK Northern Ireland, said: "If a company can't measure the business benefits about being responsible they are less likely to engage in responsible activities. That has been put forward, particularly during the recession. People want to work for responsible companies. Responsible and sustainable companies attract business and costumers." Dr. Gregor Breucker, deputy head of the Department of Health Promotion at BKK, Federal Association of Company Health Insurance Fund, said: "Health at work is now taken much more seriously, embedded in the demographic change debate, and in the danger of falling into a shortage of qualified labour trap. This is another key driver at the moment and simply because more companies see a need for investing in these areas. We have followed." "We have realised that dealing with health and safety has to be done in a totally different way," said Christa Sedlatschek, director of the European Agency for Safety and Health at Work. "We have to work together with everyone involved in health and safety at work. That means organising company networks because if you want to achieve anything at a company you have to get the management level involved. They are decision-makers, they have the finance, they manage human resources and we also need workers' involvement. We see that the traditional way of dealing with the issue is no longer very helpful. We need to have a more holistic approach." Nicola Bedlington, director of the European Patients' Forum, said: "Health literacy is really fundamental for our organisation. From our perspective health literacy is absolutely core. We need high-quality information for patients. We need health literacy to be able to navigate through our healthcare systems and use that information effectively to really manage our care together with our trusted health professionals. Health literacy is really a key to patient empowerment." Stefan Crets, executive director at CSR Europe, said the business case is clear and that the need for action likewise. "How can we enable our employees to become more pro-active? It's a question of citizenship. It's not just a question for the employee and the benefit for the company. It's also as a citizen. Then you'll reach the link between the value for the business and the value for a society." European Public Health Professor Helmut Brand from the Maastricht University, commented: "Our job in academia is to provide evidence of what works in a company and what works on an individual. When we translate it to the work setting, the situation is that we are moving from health protection to health promotion." "Promotion is an individual case. It's not a regulation or production process. It's about helping people to do the right thing. As we spent the most time at the workplace, and the boundaries between the private and work life are vanishing, it's very important that we encourage people. We can provide them with good, healthy surroundings, but a lot of the decisions to be made to navigate through this, the citizens have to make," Brand stated. Madi Sharma, who is member of the European Economic and Social Committee, said that if we don't have a healthy society, we don't have healthy customers or healthy employees. "Mental illness, stress, abuses of substances, abuses of people... These are all issues where people are no longer safe. Should employers be responsible for checking employees' health? It makes good business sense to have healthy employees," Sharma said. Maria Iglesia-Gomez, head of Unit Innovation for Health and Consumers at DG Sanco at the European Commission, commented: "We have to understand the different context and dimensions of health literacy. We see that we are attaching a broader area than just health. We are also affecting the decisions of citizens when they are participating in the decision-making process. We are also talking about the skills of citizens when they are making personal choices as part of their lifestyles." Member of the Committee on the Environment, Public Health and Food Safety at the European Parliament, Radvil? Mork?nait?-Mikul?nien?, said: "Maybe things are moving slowly, but they are moving forward. When I think about health literacy, I see it as the possibility and ability to take care of yourself. We live in an era of information and I assume that today during one week, you get more or less the similar amount of information that a person got in the 19th century during half of his life. This creates both advantages and disadvantages. Everyone is an expert. In a way it's a threat. Basically everyone is able to say his or her opinion. But when certain interest groups are providing information on how a person should live his life, how can a person distinguish between the true facts and those based on manipulation?" The Blueprint for Business Action on Health Literacy is a free toolbox accessible to all companies and aims to strengthen the health literacy of employees through wider wellbeing initiatives. Besides presenting concrete best-practice examples, it provides additional resources for companies to become champions in wellbeing and health literacy in the workplace. In applying the blueprint, companies must understand that 'one size does not fit all', and that any approach to achieving an increased level of health literacy must address the specific needs of each organisation, the stakeholders say. They emphasise that improving the wellbeing and health literacy of employees must be adopted as a core priority and constant value within the business model rather than being seen as an add-on project for consumers, employees and stakeholders.